We visited Garfish Crows Nest this week with Executive Chef Stewart and Head Chef Hamish to learn more about a new dish on the Winter 2014 menu. 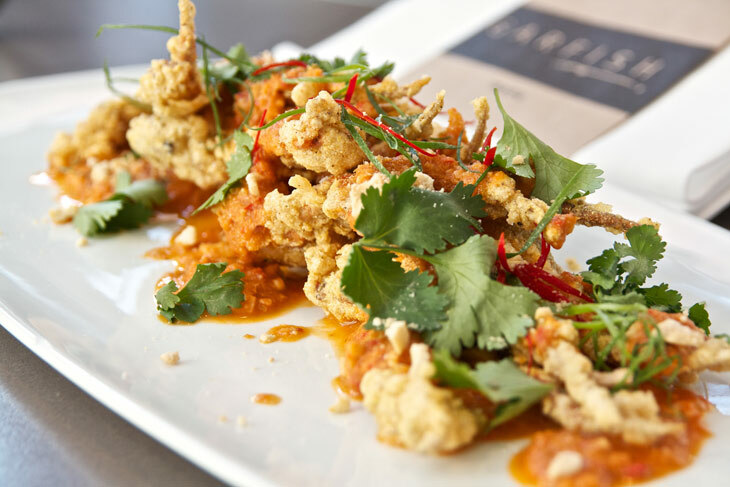 Featured as en entrée on the Crows Nest menu, it’s served with roasted cashew nuts, shallot and coriander. Watch the video below to see it being prepared. View the full Crows Nest winter menu here. Our weekday lunch prix fixe menu changes throughout the week, this is what’s on offer today. 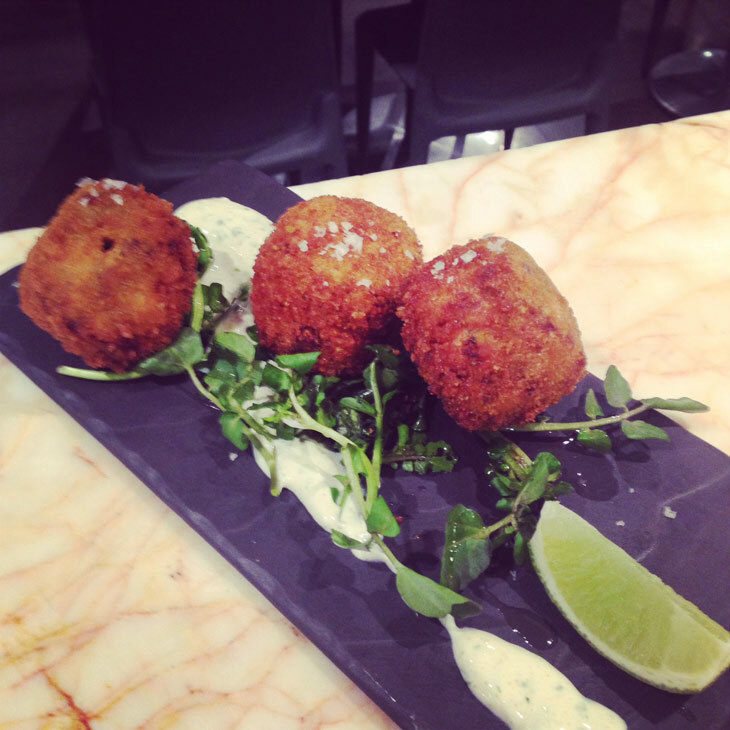 Our blackboard menu always offers something ‘special’ the standout from Crows Nest this week is this: Masala barramundi fish cakes. Served with coriander & cumin yoghurt this is available as a entrée this week. If you’re heading to Manly today or tonight (you’ll have to be quick!) 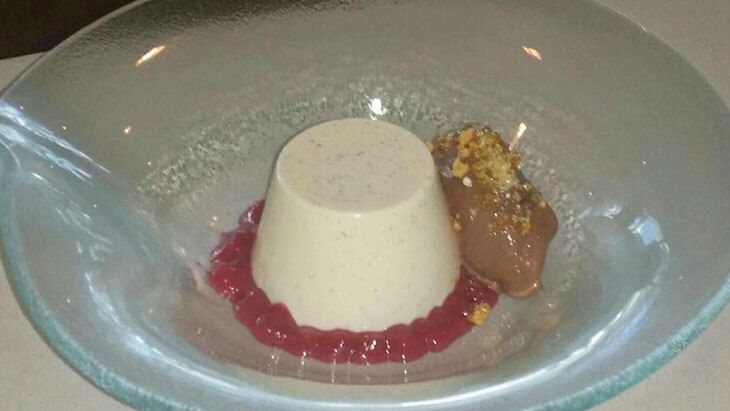 there is a dessert special that shouldn’t be missed: vanilla panna cotta with nutella luious mousse, praline and raspberry gel.